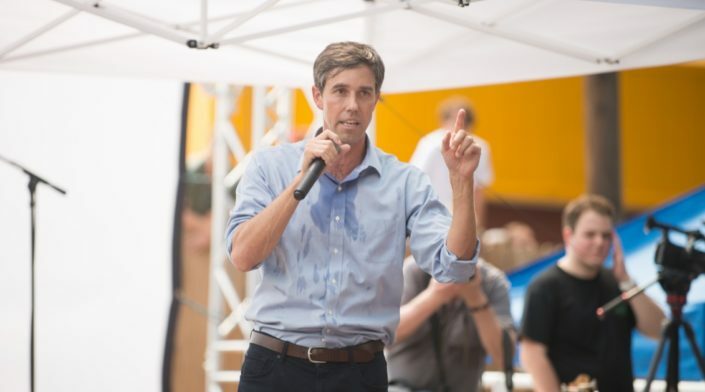 2020 presidential hopeful Beto O’Rourke ran into an awkward situation on the campaign trail Friday. After declaring that he would bring troops home, the former representative and failed senatorial candidate from Texas found himself being grilled by an Afghanistan veteran on the logistics. Dissatisfied with O’Rourke’s vague answers, the man kept asking for details until one of O’Rourke’s aides finally whisked him away. After a day that was light on foreign policy, @BetoORourke gets pressed about Afghanistan by a local army vet. O’Rourke says he’d bring troops home. The exchange took place at a campaign event on Friday in Charleston, South Carolina, where O’Rourke told the self-proclaimed military veteran that should he become president, he would pull U.S. troops out of Afghanistan. “You bring the service members back,” O’Rourke said, but the veteran was not going to let him get off that easily. Over the next minute, it became clear that O’Rourke had no answer to the man’s question. Instead, he talked about why he would bring the troops home. Finally, an aide stepped in to get O’Rourke out of there. As a presidential contender, O’Rourke has already been criticized for his vague platform and lack of specific policy goals. This encounter took place on the first of two days that O’Rourke is spending in South Carolina, which holds the first primary election in the South. So far, he has managed to draw sizeable crowds. Rather than foreign affairs, his main emphasis has been on the achievements of the civil rights movement.